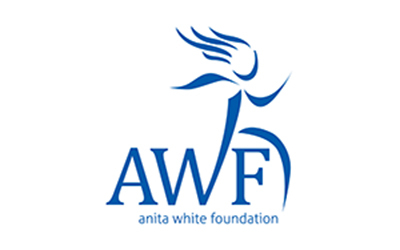 Together with the University of Chichester, Females Achieving Brilliance (FAB) and The Anita White Foundation (AWF) are recognised as major agents for change in women and sport, and are all committed to supporting women’s leadership in sport globally. FAB and AWF have a particular focus on helping women who work in senior positions in sport/sport-for-development organisations to become great leaders. Started in 2009 by Pauline Harrison and Lucy Faulkner who have held senior positions in national governing bodies of sport and have worked in the business of sport and recreation, FAB's vision is to inspire and empower women to be great leaders. FAB's ambition is to use its unique insights, experiences and networks to provider tailored professional and personal development opportunities that support women in sport to progress on their leadership pathways and increase the confidence and competence of female leaders in sport in the UK. FAB is a voluntary organisation whose vision is to based on the founders’ own experiences. Through an annual programme of networking and personal development sessions, the FAB network provides insight and inspiration from female leaders in sport and business to enable more women to develop their leadership skills. The AWF, based at the University of Chichester, provides a central point of reference for scholars and activists in the world-wide women and sport movement and the Foundation supports the education and development of women leaders from countries where women face particular challenges. The AWF has hosted annual events with panellists including an London 2012 Olympic gold medallist, funded Tanzanian female community sport leaders, and played a central part in the research and publication of the International Working Group on Women and Sport Progress Report 1994-2014. A fund to support the education and development of women leaders from countries where women face particular challenges. The University is committed to the learning experience, and the two campuses are renowned for their friendliness and great facilities. Chichester has an intimate feel to its teaching, with an emphasis on small learning groups and providing a significant amount of contact time between staff and students. The University takes great pride in the rich learning experience that they offer students and are proud that they have been delivering education and professional training since 1839.